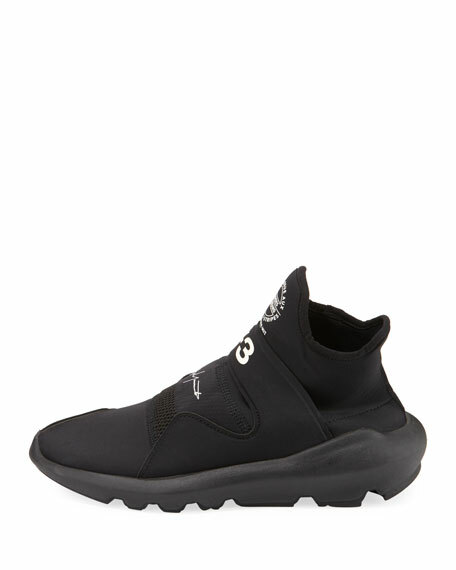 adidas Y-3 "Suberou" sneaker with mesh and neoprene vamp. Sock-like construction forms to foot. Since the late twentieth-century, Japanese designer Yohji Yamamoto's avante-garde aesthetic and master tailoring have helped to transport fashion into the twenty-first century. 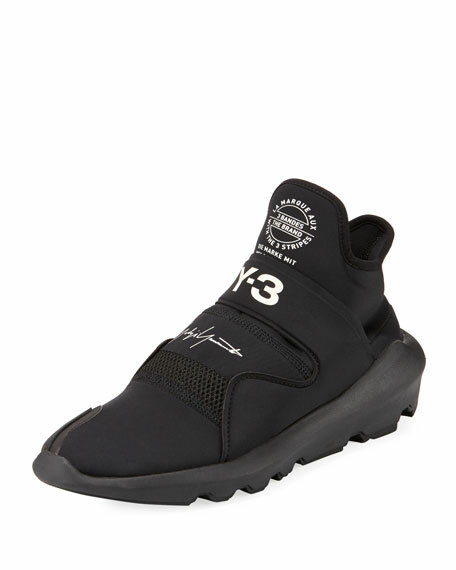 His Y-3 linethe 3 represents the iconic adidas three stripesplayfully combines form and function by deconstructing the sneaker into something both visually striking and utilitarian. For in-store inquiries, use sku #2441240.